Photo by VelocityMotorsportsNews.com 2016 CSCC Ice Dice at Ghost Lake Alberta. 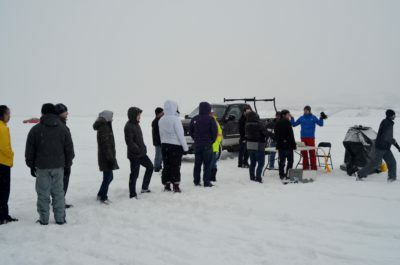 The 1st part of the CSCC “Ice Dice” is the school CSCC Winter Driving Academy then is 5 events on Ghost Lake west of Cochrane Alberta. The biggest problem with the school & the Ice Dice events is both will sell out fast, so if you are interested sign up today. 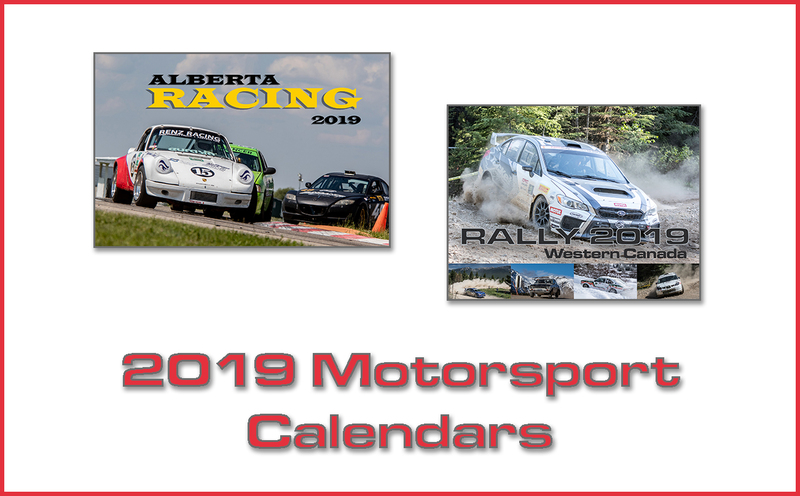 Calgary Sports Car Club (CSCC) membership is not required but obviously suggested. 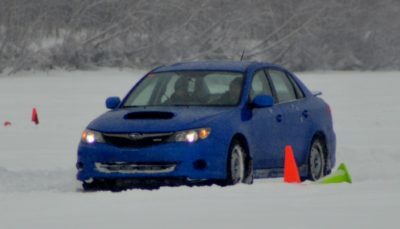 This program is introduction to performance driving in extreme winter conditions. 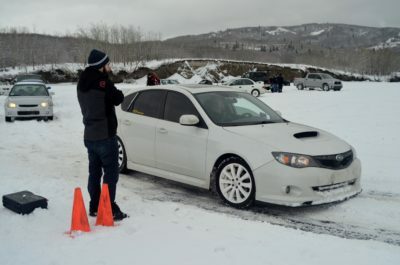 Where is not necessary to take this program to be able to participate in our ice racing series (Ice Dice) we feel that the training will help your progress quickly and make most out of the following events. 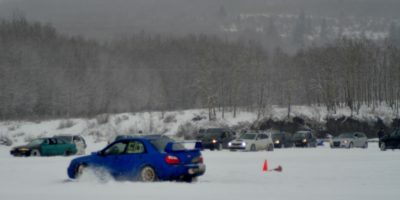 Participation in ice racing series in not required after taking the school. The focus of the school is on performance driving but no experience is necessary as we will cater the training to individual needs. Our goal is to help you improve car control, understand racing principals and increase your confidence of driving in winter conditions. 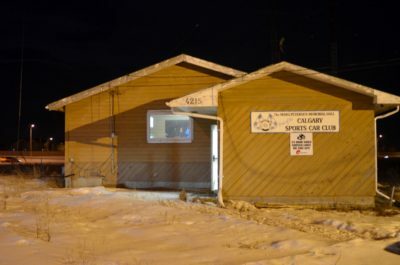 Welcome to the 2017 “Ice Dice” presented by the Calgary Sports Car Club (CSCC). 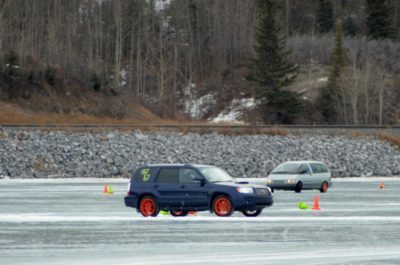 Ice Dice is a recreational off-road Solo2 event in which participants compete individually against the clock on a temporary pylon course. The “Ice Dice” will be a best 3 out of 4 series taking place on Ghost Lake. 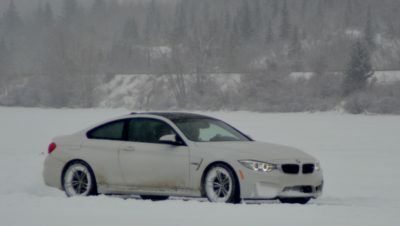 Our goal is to provide a controlled environment for performance driving in extreme winter conditions. Please be mindful of others who are on the lake but are not a part of our event. We ask that you refrain from warm-up, fast, or spirited driving while not on our track. Thank you for your understanding. 4215 80 Ave NE. Calgary, Alberta. The classroom session is hosted from our heated clubhouse rather than outside in the cold. This session focuses on the fundamentals of driving on a slippery surface. Discussion and questions are more than welcome during this time. Ghost Lake, approximately 17km west of Cochrane on Hwy 1A. 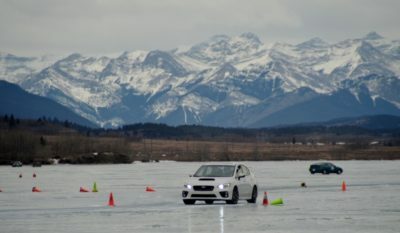 Photos by VelocityMotorsportsNews.com 2016 CSCC Ice Dice at Ghost Lake Alberta. Registration for the academy opens at 7pm on December 19, 2016. Registration opens at 7pm on December 21, 2016. Registration opens at 7pm on December 28, 2016. Registration opens at 7pm on January 11, 2017. Registration opens at 7pm on January 25, 2017. Registration opens at 7pm on February 8, 2017. * A maximum of two participants per car is allowed. ** Affiliated members must present their current membership card at registration in order to be eligible for the member rate. *** Holding spots for other people is not allowed. On Ghost Lake just west of Cochrane. Event will run snow or shine and at all temps above -20 degrees. All participants are encouraged to check the CSCC Forums or Facebook page prior to the event to check for updates and changes. 4 timed runs in both the morning and afternoon heats. Result is based on the cumulative total of participants two (2) fastest laps, one (1) from the morning and one (1) from the afternoon. Run in two classes, each broken down to three classes according to drive configuration. Series results will be based on the best 3 finishes for the season. In each of the car classes, points will be assigned for each event to the top 12 finishers in the value 20 for first in class, 16 for second, 14, 12, 11, 10, 9, 8, 7, 6, 5, 4, 3, 2, 1. Points classing may change prior to first event, but not after. – Winter tires are mandatory. – Commercially available DOT tires only. – Maximum length of the stud as measured from the face of the thread should not exceed 3.5 mm. – Hakka 8’s with factory installed studs, no modifications allowed. – M2005/SA2005 or newer SNELL approved helmet (loaner helmets are available at the event). – A tarp. 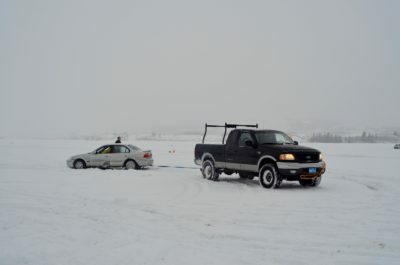 While on the ice your car may only park on a tarp that you yourself must provide. Princess Auto is good source for inexpensive tarp. – Warm clothes and appropriate footwear. It is recommended you invest in pair of ice grippers for walking on the ice. * Participants who have not registered before the drivers meeting may forfeit their entry to another entrant on the waiting list. Please print, fill it out and bring it to registration. – All competitors are required to spend one half of the event marshalling. – It takes at least 8 dedicated volunteers (and involved, cooperative participants!) to run a successful event. Please come out a bit early to help with tech inspection, course setup or timing. – Upon arrival, all participants and spectators are to report to registration. – Submit their self-tech inspection form (see Section ) to registration. – All participants and spectators will sign any/all waivers for the event. – Following registration participants are to claim a position in the paddock/parking area and prepare the vehicle for the event. Parking in designated area on nylon tarp only, a minimum of a two car widths must be left between parked cars. Remove all loose articles. – Report to the Tech Inspection rep when your vehicle is ready for inspection. – Please try to stay with your vehicle until it has been inspected. Drivers should be present during tech inspection. – No leaking fluids of any kind! * Note that marshalls and organizers have the right to deny entry to any vehicle deemed unsafe (with a full entry fee refund supplied). The organizers also have the right to re-tech any vehicle at any time and deny further participation of the vehicle if deemed unsafe. – All participants are required to attend the drivers meeting. – Cars will be divided into two or three run groups (depending on number of competitors). – The initial tasking and rotation order will be established. – 3 to 4 runs per participant before rotation of groups. – All competitors are expected to marshal. No exceptions. These events are held under the spirit of the CNAC Rulebook. All of sections 3 and 4 of the CNAC Regulations.